I've posted this image of the above painting before at this blog--a few years ago--and I like it so much I thought I would re-post it for Thanksgiving. I personally find it a very moving image. 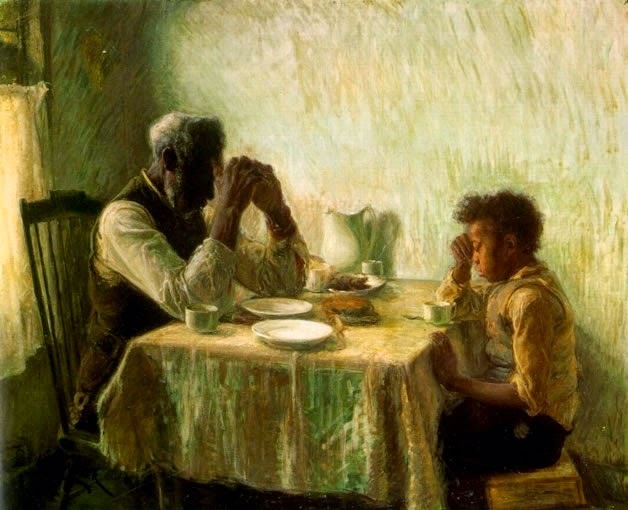 You may already be familiar with it, it is a painting by Henry Tanner and titled The Thankful Poor (read about it here).